Let's be honest here, the quickly approaching holiday season means more than quality times with the ones we love. If you're anything like us, the food that comes along with the holiday's takes charge of a lot more of our thoughts than we'd like to admit. With this in mind, it is important to remember who brought this food to us, and the role they play in our lives. Rather than constantly eyeing the casserole or pie, waiting until it's socially acceptable to grab seconds, take a second to soak in your surroundings. Take your mind away from the food, and instead change its focus toward the people surrounding you, and you'll realize how quickly the time can pass without constantly feeling the urge to eat. Just because the food is there, doesn't mean you need to eat it. Many times, people see the food laid in front of them and feel the need to just "sample" a bit of each. Instead of testing each item, choose which are your favoites and stick with those. Are you more of a main course person, or a dessert person? "Treat yourself" in one of these courses, and your body will thank you later! As hard as it might be to find a spot to stand or sit that isn't located directly next to food, try to find an area that you are greater than an arms length away from all the temptations. When food is conveniently located relevant to you, it's easy to pick away and not even realize the dent you're making. Positioning yourself away from these temptations relieves the urge to casually eat, saving yourself hundreds of unwanted calories. It might not seem like that much, but getting a few extra steps into your day can make a world of a difference. Gather up your crew, and take a walk around the neighborhood. Even if it's short, the little bit of exercise will give your body a sense of relief after your prior indulgences. UCONN staff, students, and residents in Waterbury are eager for the grand opening of their newest Starbucks next week. Richards demoed the space and constructed new walls along with the help of the subcontractors that did the installation of the fire sprinklers, mechanical work, and electrical work. 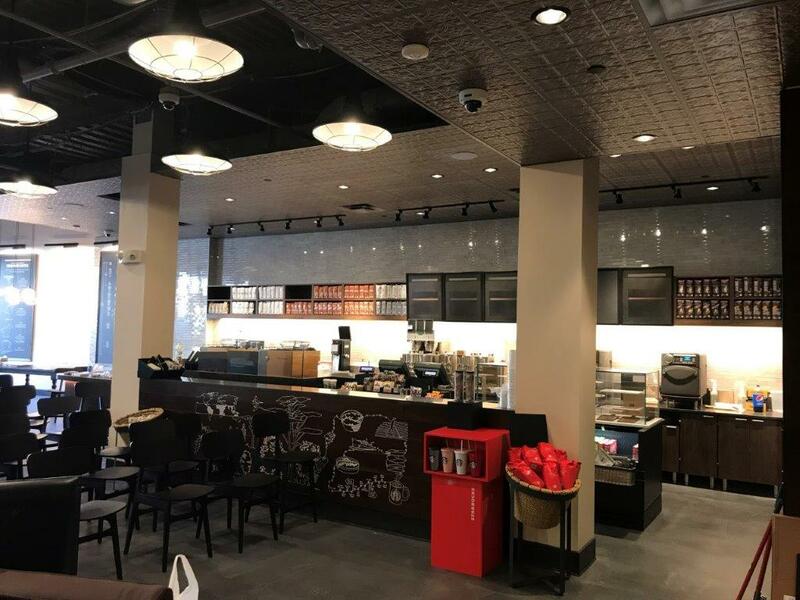 Richards completed this fast paced project and turned it over to the campus and Starbucks on November 13, 2017, which was on-time. Click the photo for a little pre-holiday break motivation. Always strive to be the best version of yourself you can be, and the rest will fall into place. Like us on Facebook, and follow us on LinkedIn to keep up with all of our hard work and stay updated on new home renovations!